How the strategies and tactics of fly fishing can translate to improved trading performance Much like trading, successful fly fishing requires both an understanding of "big picture" conditions and the ability to implement tactical techniques to actually catch the fish. 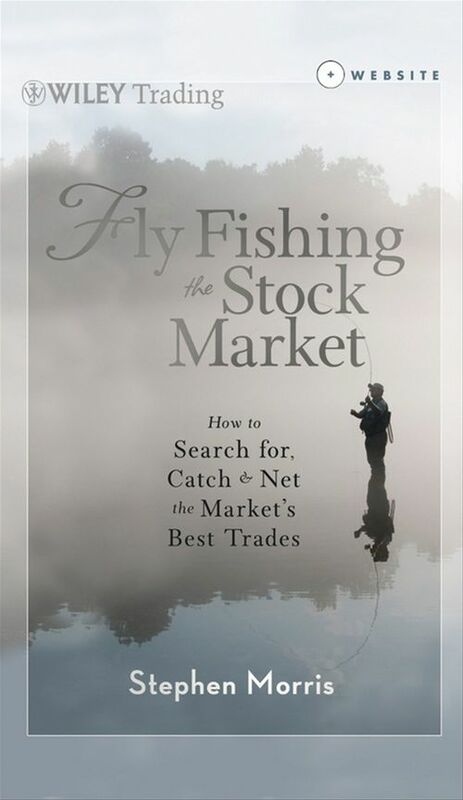 In Fly Fishing the Stock Market, Dr. Stephen Morris compares his method for trading stocks with his favorite past time, fly fishing-providing fresh insights into his successful trading approach. Engaging and accessible, this book skillfully describes how Morris applied this approach to generate an astounding 268% growth in his account in the volatile and confusing, post-financial crisis markets. Morris explains how he uses technical indicators to determine what he calls the "market season" and how he then zeros in on individual stock patterns to make his trades. He also reveals unique tools, such as the Market Timing Monitor and Weather Station, which give him a sense of the market's long-term condition and provides the basis for his trading and risk management strategies. Filled with the authenticity of a real trader figuring out how to uncover profitable trading opportunities A companion Website contains supplementary material that allows you to learn in a hands-on fashion long after closing the book Provides a compelling portrait of how a successful trader thinks about markets, develops a method, and then implements the method in real time The author's spectacular returns are backed by publicly documented records Just like fly fishing, traders must adjust their approach constantly because market conditions constantly change. This book will help you achieve this elusive goal, and capture consistent profits in the process.